Discover the features of the bag that is as diverse as the places you will take it. SELOUS: The Man. The Place. The Bag. The new Mara&Meru™ Selous Satchel is set to revolutionise self-styling and become your favourite outdoor and everyday bag. We interview a mixed group of commentators in our latest podcasts about Selous - the man, the place, the inspiration, the bag - and present articles, videos, and pictures that will help you better know the adventure-inspired bag that, in turn, inspires adventure. In loving Africa, I met a man. I met a man between the pages of a book penned in ink mixed with dust, glistening in the firelight at the end of a long day. I met a man through his greatness; through his yearning for discovery, knowledge, and understanding on a continent that merges romance and danger in a landscape that is both brutal and beautiful. When I close my eyes, I am high on horseback looking out over an Africa of mystery who has me spellbound in a love I will not escape for a lifetime. The foot of a long, creaking, shining leather boot meets metal stirrup, riding along a wagon trail lightly forged in land largely undisturbed by modernity. When I close my eyes, I know the conflicting feeling of conquest and preservation in the twist of the kudu horn and the lusty allure of gleaming curves of ivory in a field filled with tuskers. When I close my eyes, the night is dark and filled with stars - the unknown extending as much upwards as it does forward. There is the flap of canvas in the breeze, the exotic smell of wood and grass and the scented mud of the riverbank. There is the comfort of the fire, the likes of which dot concealed villages filled with men whose ancient societies of war and culture and tradition I endeavour to understand. No matter the hissed curses from the flames, we are all unified in the magnetism of its warmth and light and strength, casting a glow on an incomprehensible wilderness beyond. When I close my eyes, my hand touches the ammunition pouch on my belt, where sport and survival meet as a nearby lion asserts his power into the night, causing the oxen to stir and my senses to quicken. The rifle that brushes my breeches will defend us, will feed us, will collect specimens from Africa that will travel the oceans to museums and help men in long-standing brick buildings understand the natural world. In turn, generations of people will travel those same oceans to see the fierce predators and roaming herds in the place they will only ever really belong - in Africa. In their freedom, we find our own amongst the plains, hills, mountains, and rivers in the land that mark our origins. 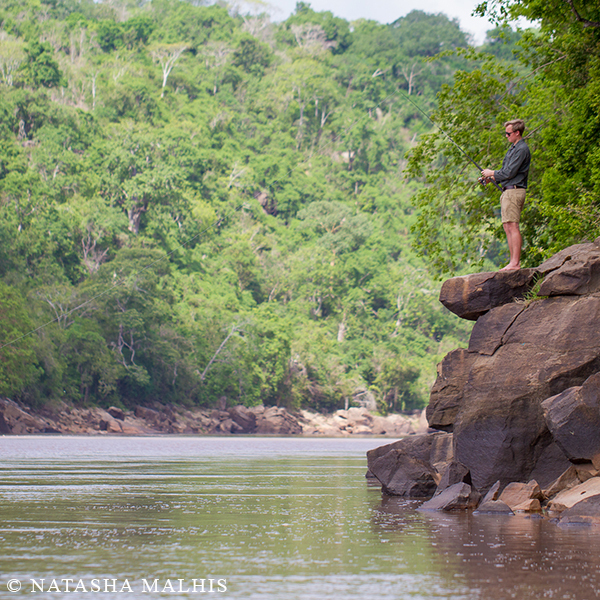 Understanding Selous is to understand that one man can be many things and retain the kind of timeless character that invokes reverence and awe. 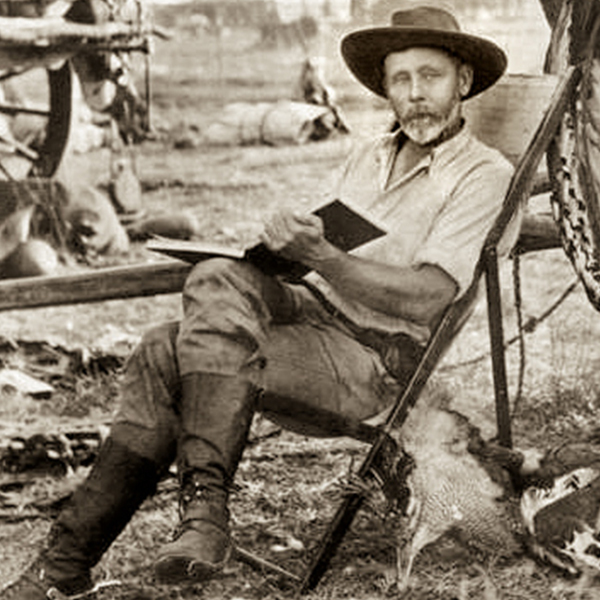 From the boy with an unerring interest in nature, Selous became a military man with a firm and disciplined approach to a wild and rugged life of exploring, hunting, and recording often despite some harrowing circumstances. When I close my eyes and I think back on the man that negotiated with chiefs, made paths through unpassable bush, shook with fever in simple camps for weeks, and made a record of his explorations, my eyes are opened like never before to the vice-grip of wonder ever-present in our lives and our insatiable desire to wander, discover, and to ascribe meaning to the people, places, and experiences we happen upon along the way. 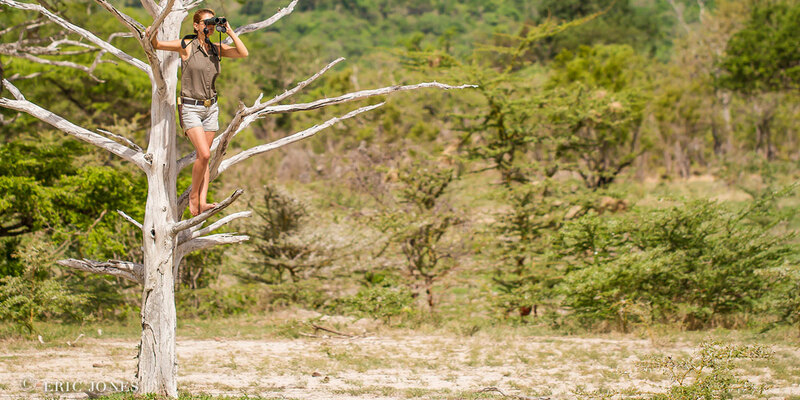 Named after explorer Frederick Selous who lost his life to a German sniper in the area, the Selous Game Reserve in southern Tanzania is a World Heritage Site and home to diverse landscapes and an array of wildlife. 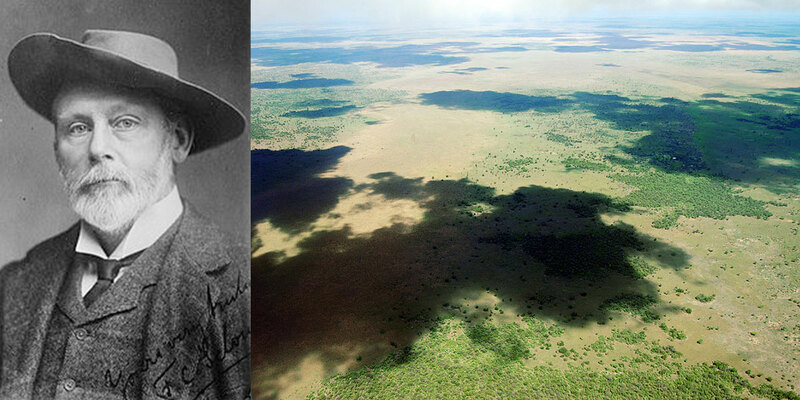 Find out more about life in the Selous, the special characteristics of the place, and a bit about the legacy of the man behind its name from Natasha Malhis and Eric Jones (pictured on the right and below) of Sand Rivers in our podcast. The vivid vintage safari design elements of the Mara&Meru™ Selous Satchel make a dramatic fashion statement. 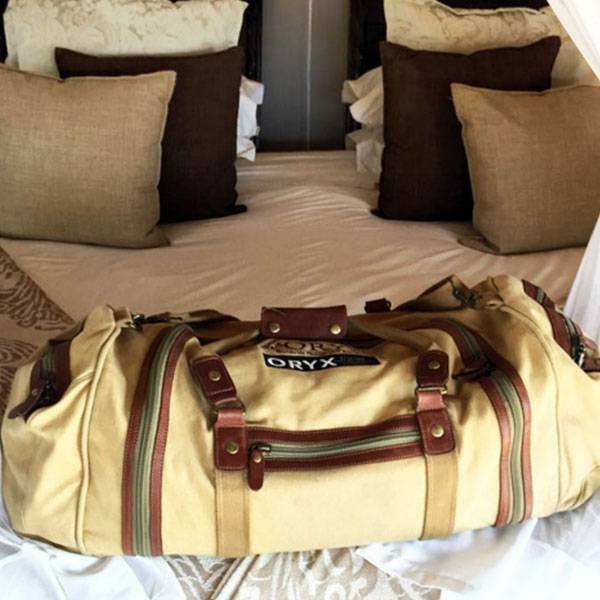 The canvas and leather material and brass detail are evocative of a bygone age of African exploration and give an unmistakable safari feel to the overall look of the bag - a time of white canvas tents and vast untraversed lands. Scroll through the images below to view the many features this bag has to offer. MATERIAL: These bags are beautifully crafted from quality canvas and leather. STYLE YOUR BAG: Removeable, interchangeable zip-off front flap. BACKPACK: Hidden backpack straps are easily accessible from the zipped compartment at the back of the bag. SATCHEL: A detachable padded shoulder strap gives you the option to convert your bag into a satchel. COMPARTMENTS: Mini leather compartments for extraordinary visual appeal and for transporting small items. POUCH: A padded removeable pouch for transporting binoculars and small cameras. BELT LOOPS: Leather loops allowing the bag to be attached to your belt for easy access and convenience during walks and activities. STITCHING: Strong, neat stitching that complements the curves of the bag. DETAIL: Added durability and aesthetic appeal of brass buckles and detail. Can what we wear be considered art when looking at customisable fashion and the Mara&Meru™ Selous Satchel's radical self-styling features? Brent Dodd is an international artist specialising in the depiction of Africa - from the continent's diverse people and wildlife to the immortalisation of ordinary, everyday scenes in unforgettable artworks. 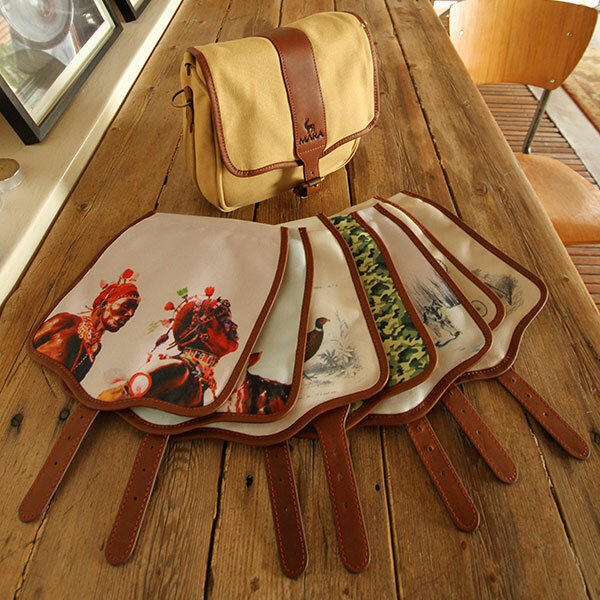 As the artist behind a selection of the flaps, we asked him to weigh in with his insights on African adventures, fashion as art, and the Mara&Meru™ Selous Satchel. Press play below the image to listen to Brent's podcast. 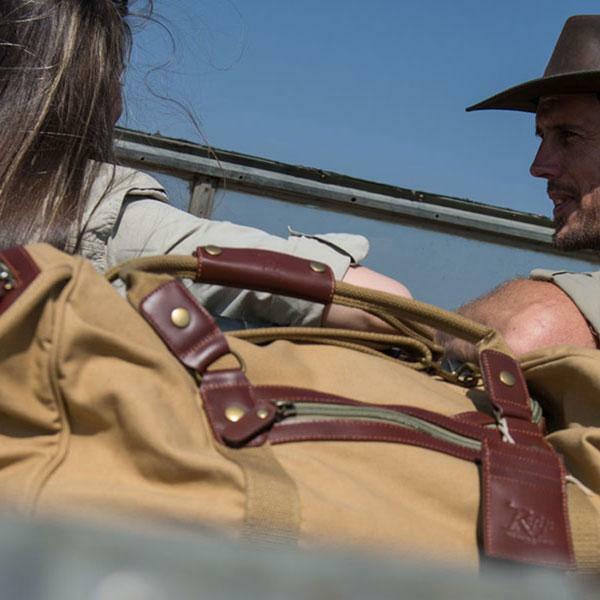 Safari style in the fashion world is unquestionably enduring. Not only does it appeal to our insatiable desire for adventure, it speaks to a rugged sophistication in every setting - one that naturally translates into timeless luggage and clothing. 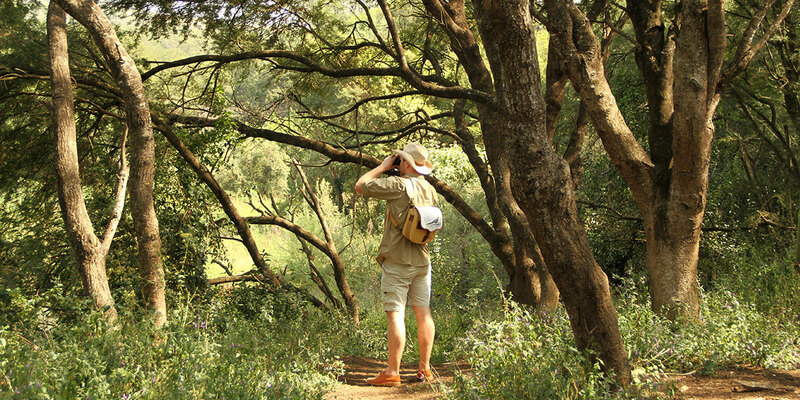 With a background at various Conde Nast publications and British Vogue, fashion expert, Maja Havemann, has some interesting thoughts on safari in style and the Mara&Meru™ Selous Satchel. Press play below the image to listen to Maja's podcast. 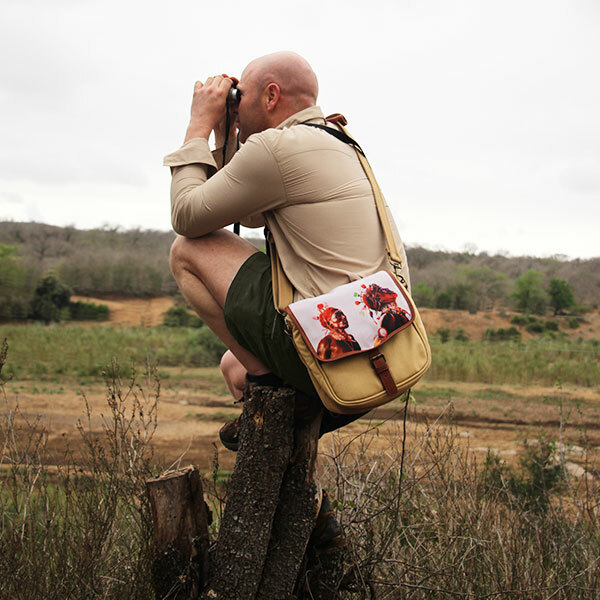 The Mara&Meru™ Selous Satchel is the perfect size for a pair of binoculars and a bird book - and the backpack straps offer a hands-free carrying solution. The interchangeable flaps and the different ways to wear the Mara&Meru™ Selous Satchel mean you can customise your bag to suit who you are, where you are, and what you are doing.